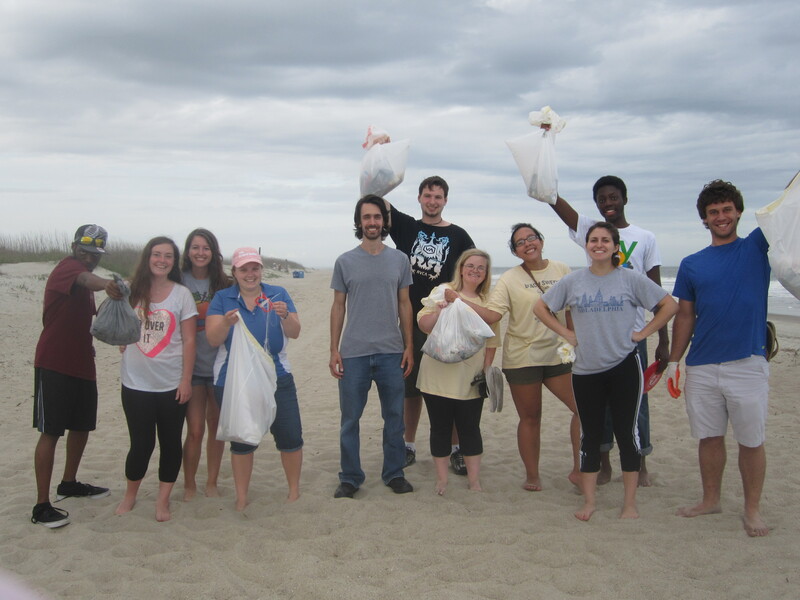 Go Green Armstrong and members of the Honors Program teamed up on April 14 to pick up trash on Tybee Island. “These sweeps are important because the small items left on the beach that we help pick up are often the most likely items to fill the bellies of small sea creatures,” Go Green Armstrong vice-president Katie Babineau said. There is always garbage to be cleaned up on the beach, but a recent event, Orange Crush, left Tybee Island a little dirtier than usual. The event is organized via social media and brings thousands of people to the beach each spring. This year, Orange Crush was held two weekends back-to-back. Partiers at this event were expected to leave more litter than usual that could potentially harm the ocean and wildlife. Plastic straws, bottle caps, receipts and baby wipes were just a few of the items that students continuously found, some of which were already making their way into the water. “I enjoyed it. We cleaned up a lot, mostly cigarette butts. I feel like I really helped out,” freshman theater major Preston Rivers said. “I think every little bit helps,” freshman Shannon Griffin said. The group ended the evening of service by bonding over a healthy and delicious dinner at Zoe’s Kitchen. Not only did the two Armstrong groups have a fun time, but they became closer in working toward the same cause: cleaning up Tybee Island beach.